DMV.com was created to help simplify your life by providing you with all the vehicle related information and New Mexico DMV services you may need, in one place. Quickly find information and services regarding driving records, vehicle registration, drivers license renewal, license plate renewal, getting a learners permit, and finding a New Mexico Department of Motor Vehicles approved traffic school. An MVD drivers license is required before prospective drivers can operate a motor vehicle. Learn about the NM drivers license application and other services. Submit a DMV driving record request online quickly and easily. Obtain your New Mexico driving record without having to visit the DMV. NM drivers must have auto insurance to comply with MVD rules. Compare car insurance rates online and find affordable car insurance today. Enroll in a New Mexico driving safety course for ticket dismissal quickly and easily. Our traffic school is approved by the NM DMV. Take a New Mexico DMV practice test before applying for a license. This driving practice test will prepare you for the written license exam. Vehicle registration is required by the MVD. Find NM car registration information to help you renew, replace or change your registration. New Mexico drivers education is required by the DMV for license candidates under 18. Enroll in NM online drivers ed for maximum convenience. A New Mexico vehicle bill of sale serves as an important receipt when you buy or sell a car. Learn how to get a bill of sale from the MVD. To avoid DMV penalties, drivers with traffic tickets in NM must take action before the deadline. Learn how to pay a ticket online in NM. Getting a DWI in New Mexico can result in fines, jail time and license revocation. Learn more about NM DUI consequences mandated by the MVD. If you plan to buy a used car or new car in NM, we have resources to help. Buying a car online can expedite your MVD registration process. 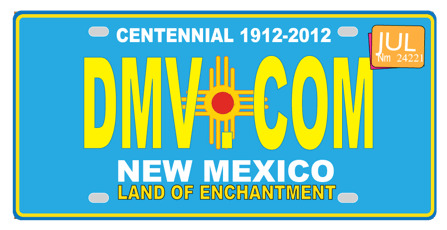 Find convenient DMV locations in New Mexico. Get local DMV contact information so that you can get the services you require. We would like you to present to you our guide to the New Mexico Motor Vehicle Division. This is THE place if you’re in search to find any MVD related information fast. We at DMV.com work hard to get you the most up-to-date info when it comes to driving and licensing issues. This is privately owned website and is not affiliated with any government agency, thus there is no dealing with government bureaucracy. Our articles contain detailed information about various topics, like: driver’s licenses, vehicle registration, auto/motorcycle insurance, driving schools and manuals, DUI charges/lawyers, all about boats and motorcycles, credit reports and more. It has never been easier to find so accurate information as it is now on our website. Simply, use the “search” bar at the top of the page or the navigation sections below and find the topic you want to read in no time. You as readers are always welcome to give us your feedback, to comment on our pages, ask questions, and share your thoughts on our Facebook page. It will be of great assistance, and will help us work even better.